Matou te fa'atalofa ma fa'afeiloa'i atu i le mamalu o le atunu'u. O le Upega-o-Feso'ota'iga lenei a le Ofisa ole Vaai Tau o Samoa. Malo le soifua laulelei, malo le lagi e mama. 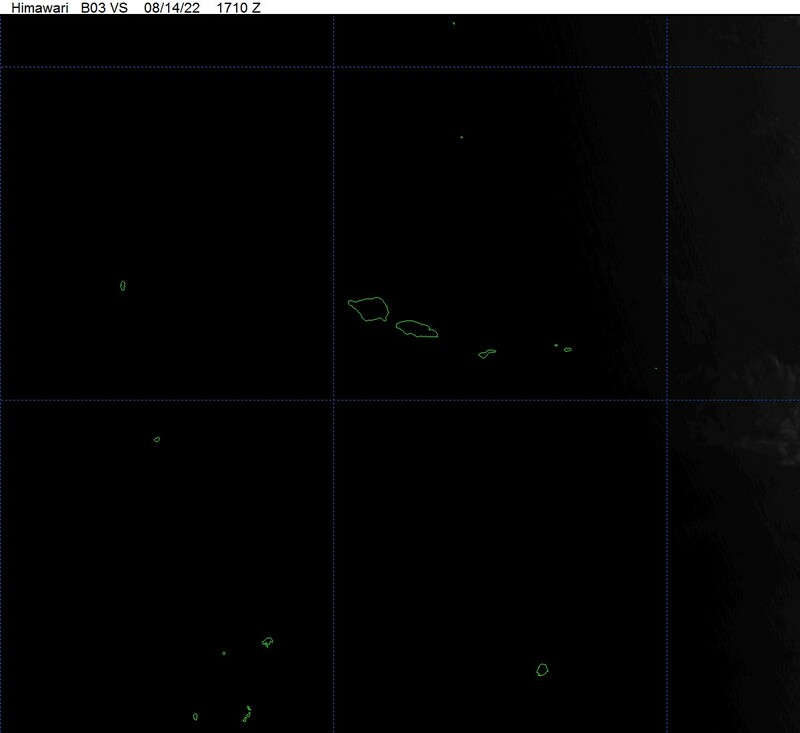 The above product display information regarding valid advisories and warnings for the Independent State of Samoa. Note: If there are no valid advisories/warnings, nothing will appear on the Map. Please refresh (press F5 on keyboard) page for latest update. 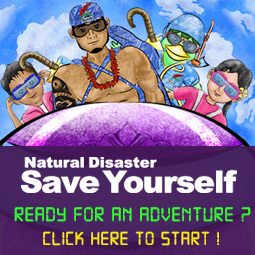 Click on to view Save yourself cartoon in Samoan or English. 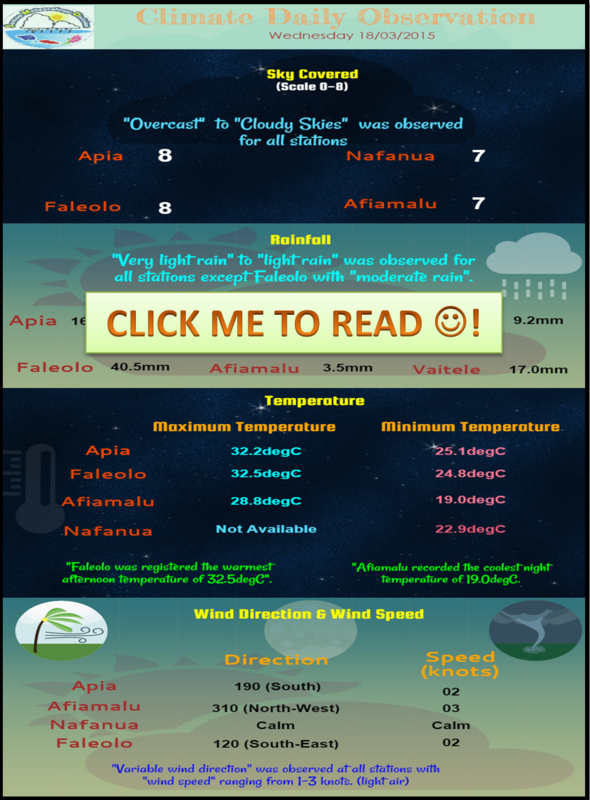 Daily Climate observation records from selected stations. 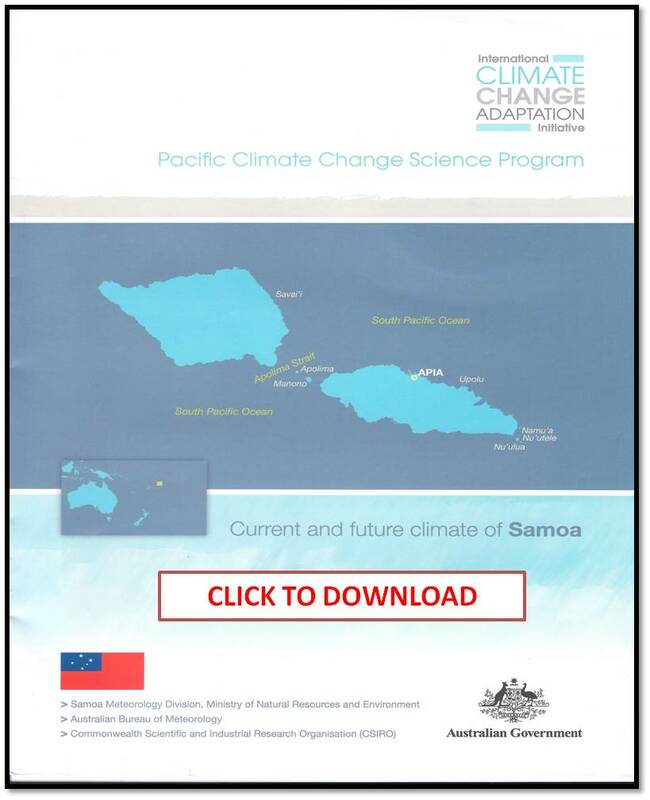 Current and future climate of Samoa. 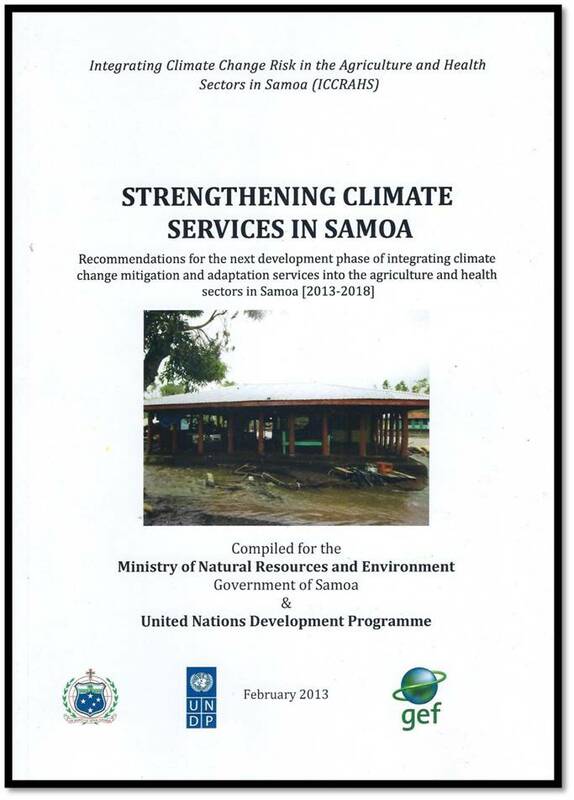 Strengthening Climate Services in Samoa.